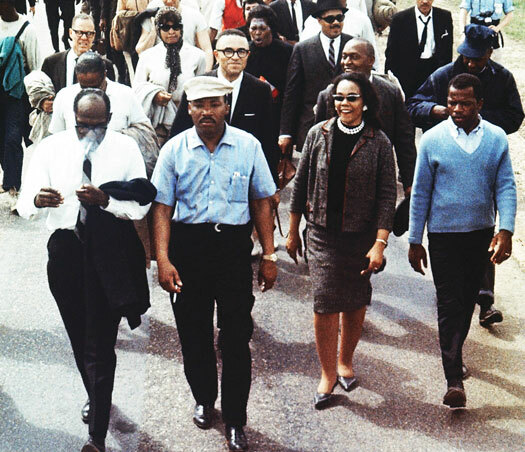 Martin Luther King leads march from Selma to Montgomery, Alabama, March 1965. 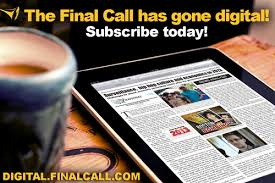 WASHINGTON (FinalCall.com) - The movie Selma is, and will likely remain, one of the most talked about films of 2015. 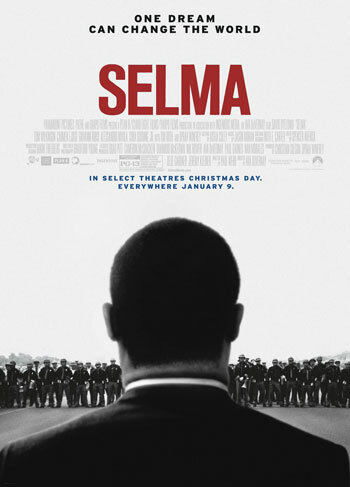 It earned four Golden Globe nominations, for: Best Picture; Best Actor, David Oyelowo as Dr. Martin Luther King Jr.; Best Director, Ava DuVernay; and won Best Original Song, “Glory” by John Legend and Common. And it is certain to be a contender for multiple Academy Awards as well. Selma is an exceptionally well crafted depiction of the last successful campaign in the career of the most charismatic and possibly most misunderstood leader of the 20th Century Civil Rights Movement. It takes its greatness from portraying the tension caused by blood in the streets of Alabama in the mid-1960s brought on by violent, White-racist, legal and extra-legal resistance to the legitimate demands for the right to vote by Blacks in the South, and from the political push and pull generated from the teeming grassroots represented by Dr. King, all the way to the desk of President Lyndon B. Johnson. The movie tells the story of three months in Selma, Ala., in early 1965 when Dr. King was mobilizing for the fight for voting rights. 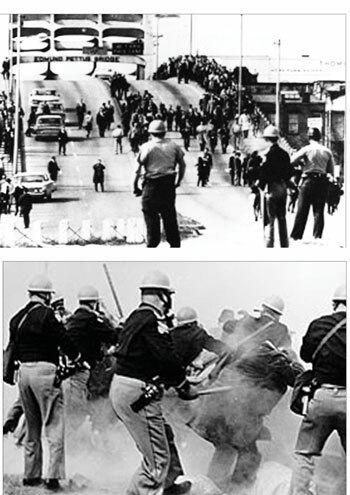 The bloody, one-sided “beat-downs” of peaceful, unarmed, non-violent protestors by vicious police, some on horseback, some with dogs, with tear gas, with billy clubs and other weapons, provokes a painful reaction to the scenes of the injustice and reminds moviegoers of the public moral outrage in 1965 which became massive public support for the passage of the Voting Rights Act by Congress later that year. 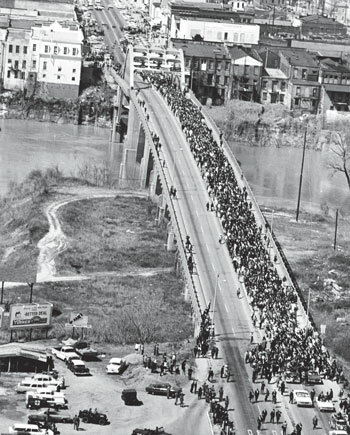 And while a great deal of “artistic license” is taken with the presentation of, or the exclusion of important Black figures in the voting rights struggle—Fannie Lou Hamer, Stokely Carmichael, Ella Baker, Floyd McKissick, among others—it is President Johnson’s screen role in the infamous Selma marches which has garnered the loudest rebuke. Historians and former Johnson administration officials have insisted that the film is flat-out wrong in the way Mr. Johnson is shown, as an opponent of the Selma voting rights marches, when in fact the march was his idea, his former aides insist. In the film, one dramatic climax occurs when Dr. King scolds the reluctant and tough-talking president, about the immediate need for federal voting rights legislation, all the while with a portrait of George Washington looking on in the background. 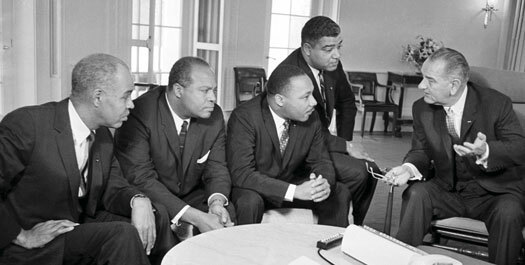 Others, including Clifford Alexander, a Black man and former deputy special counsel to the President, and later Secretary of the Army in the Jimmy Carter administration, as well as Joseph Califano, Mr. Johnson’s top assistant for domestic affairs from 1965-1969, and scholars at the Johnson Presidential Library cite transcripts and audio recordings in which Mr. Johnson appears to be the author of the idea of the Selma marches, encouraging them as a way to generate pressure on Congress to enact voting rights for disenfranchised Blacks. 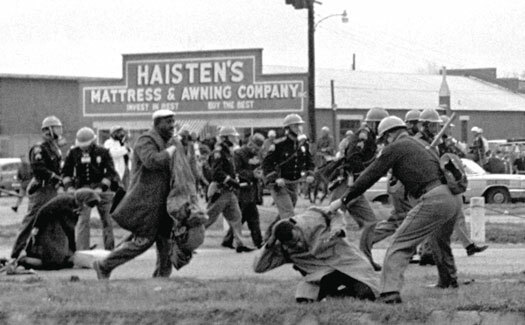 State troopers swing billy clubs to break up a civil rights voting march in Selma, Ala., March 7, 1965. While this film concentrates on early 1965 and Selma, one of the shocking early scenes shows the 1963 bombing of Birmingham’s 16th Street Baptist Church—less than three weeks after Dr. King’s triumphal March on Washington for Jobs and Justice—in which teenagers Addie Mae Collins, Denise McNair, Carole Robertson, and Cynthia Wesley were blown to bits by a Ku Klux Klan bomb. 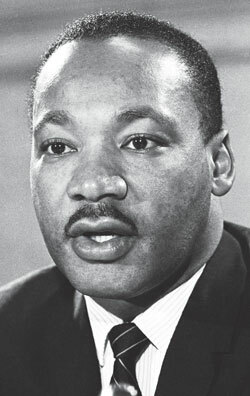 The film also shows Dr. King receiving the Nobel Peace Prize in 1964, but it omits much about the Black community which was the backdrop for Dr. King’s success, and more importantly the bolder, more militant Martin Luther King Jr.—The Real King, so to speak—who emerged during the three years after the Selma victory. 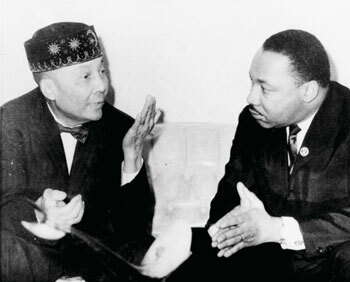 Dr. Martin Luther King, Jr., right, pictured in his first meeting with Elijah Muhammad, left, head of the Nation of Islam Feb. 24, 1966, in Chicago, IL. 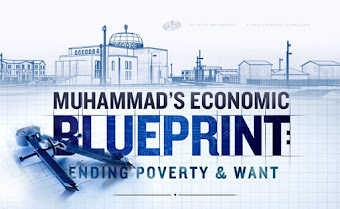 Dr. King said Elijah Muhammad agreed a movement is needed against slum conditions. The film, very skillfully diminishes the role of young Black militants who increasingly began to influence Dr. King in and after the events at Selma, in favor of the need for the movement to capitalize on a sense of White conscience and guilt. But the reality is that conditions on the ground were changing fast in 1965. The Voting Rights Act was signed into law by LBJ in Washington—with Dr. King at his side—on Aug. 6, 1965. One week later, a continent away, the Watts Riot (rebellion) broke out on Aug. 13, protesting police murders and brutality toward Black people, like the 2014 demonstrations in Ferguson, Mo., and Staten Island, N.Y.
“That LBJ, is made to look almost heroic (in the movie) in juxtaposition to George Wallace, and could get—in the theater where I saw it—a round of applause, tells you where the film was asking us to go. The emphasis on the inter-racial aspect of the movement was a clear message of, ‘let’s walk away from Black collective national activity, let’s make a point about today,’” said Dr. Ball. 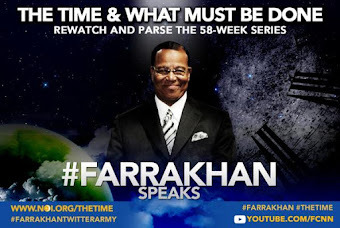 The strategy, of which Dr. King and the Civil Rights leadership was so proud, had produced a “victory with no victory,” Minister Malcolm X declared of the successful tactic which produced no tangible results. In the film “Selma,” Dr. King even laments in a jailhouse scene that he may have been fighting to integrate lunch counters at which most Blacks could not even afford to eat. 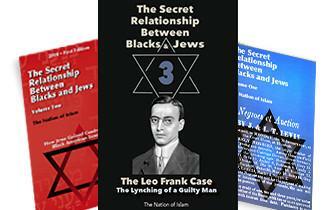 The Whites, Minister Malcolm X continued, did not integrate the Civil Rights Movement, they infiltrated it. 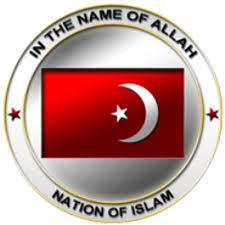 On Feb. 23, 1966 Dr. King visited the Honorable Elijah Muhammad, at his home in Chicago, and may have been further radicalized, but he quickly explained to his anxious White benefactors and to the public, that he was not forging an “alliance” with the Nation of Islam. In 1966 Dr. King’s Chicago organizing campaign was violently rebuffed by racist, White citizen attacks. He left Chicago, unable to claim a victory. April 4, 1967 the day when Dr. King explained why he was opposed to the war in Vietnam arrived. “He comes out in this speech and he calls America, his country, ‘the greatest purveyor of violence in the world today.’ That’s a strong indictment. 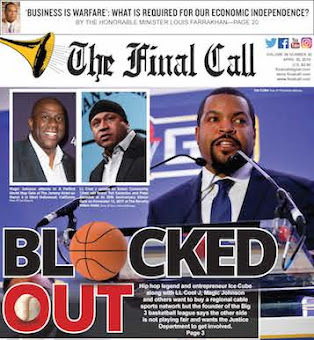 The greatest purveyor of violence in the world today,” radio and television interviewer Tavis Smiley told Pacifica Radio’s Mitch Jesserich in an interview before the release of Selma. Mr. Smiley is the author, along with David Ritz, of “Death of a King: the Real Story of Dr. Martin Luther King Jr.’s Final Year”. During that troubled time, up until his assassination, Dr. King had become so unpopular that another author, Clayborne Carson said many of the people who went to his funeral, would not have been seen with him on the day before he died. “Clayborne Carson is absolutely right,” Mr. Smiley said. “In the last year of his life, everybody and everything turned against Dr. King. “After he gives his speech, the media turns against him. What The New York Times, The Washington Post, and Time magazine had to say about him, you would be embarrassed. So the media turns on him. Then the White House turns on him.” While President Johnson and Dr. King worked together for the Voting Rights Act and the Civil Rights Act—perhaps the two most seminal pieces of legislation passed in the entire 20th Century—now King is opposed to LBJ on this war in Vietnam, according to Mr. Smiley. “The NAACP and Roy Wilkins turns on Dr. King. Whitney Young and the Urban League publicly turn on Dr. King. Adam Clayton Powell Jr., powerful Congressman, turns on Dr. King, publicly. Ralph Bunche, the only other Black Nobel Peace Prize winner, turns on Dr. King publicly. I can’t even say on the radio—it’s in the text—but I can’t even quote what Thurgood Marshall—The Thurgood Marshall—had to say about Dr. King. It was vicious and ugly. 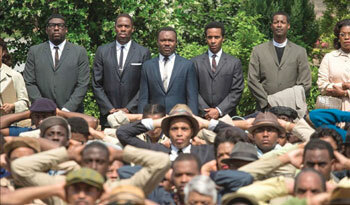 Still from the movie “Selma”. “And then the Black Press got in on it. It wasn’t just the mainstream, liberal, White press, the Black press started to turn on Dr. King. It’s a story most of us don’t know because we’d rather freeze-frame King at the Lincoln Memorial at the March on Washington. “That dream that he talked about in ’63, by the time he gets to ’67, where this book picks up, the last year of his life, he is saying publicly that that dream has become a nightmare. He says to Harry Belafonte and a few others at a gathering one night, ‘…that for all that we have done for integration, I fear that we have integrated into a burning house.’ These are Martin’s words. “The one that shocks most people: Martin was murdered on a Thursday night in Memphis. 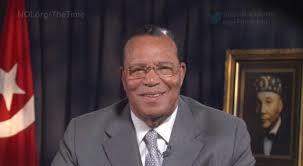 If he had made it back to Atlanta that Sunday to Ebenezer, his church where he was preaching every Sunday, his sermon would have been a shock,” continued Mr. Smiley. “He didn’t say we were going to hell, but why America may go to hell. Now you tell folks that the ‘I Have A Dream’ man was going to preach a sermon called ‘Why America May Go To Hell,’ they don’t get that. King was always a believer that America could be greater. That’s what his life’s work was all about. But by the time he gets to ’67, ’68, he’s questioning whether or not America really has the will to address these issues that are really just threatening to the lives of too many fellow citizens,” said Mr. Smiley. Ironically, the sentiment about the Vietnam War which earned Dr. King such unforgiving scorn is not unlike a prediction nearly 200 years earlier by Thomas Jefferson, one of this country’s Founding Fathers. “I tremble for my country when I reflect that God is just; that his justice cannot sleep forever,” Mr. Jefferson said. In order to get an idea of whom “The Real” Dr. Martin Luther King Jr. is Dr. Ball has a recommended reading list after having seen Selma. He recommends that people study the history recounted in the film, read Dr. King’s last book “Where Do We Go From Here? Chaos Or Community”, read James Forman’s book “The Making of Black Revolutionaries,” and read everything by or about Kwame Ture/Stokely Carmichael.